Okay I'm a HUGE fan of simply displayed prints. I think there's a place for gold swirly frames but definitely think that some frames can take away from a beautiful image. 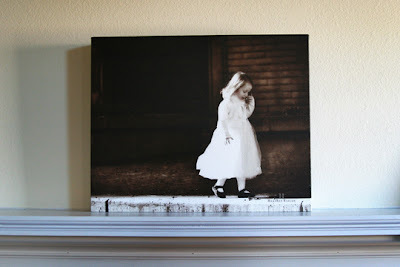 So I'm introducing Stretched Canvas prints and Mounted prints. These prints are amazing and so clean! They really let the special shot speak for themselves. 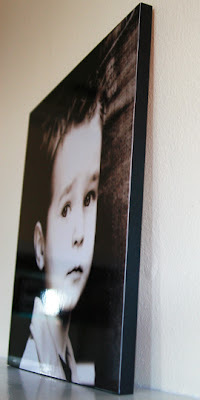 This is a sample of a print printed on Canvas and then stretched around a 2.5" frame. So beautiful and classic! These next two shots are of a 20x20 print on Metallic paper. 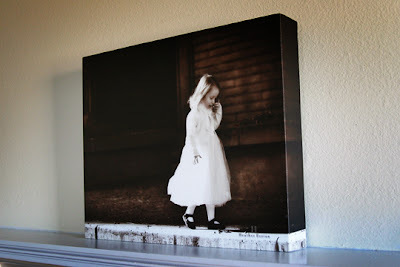 With this mounting and the metallic paper combination you get an amazing modern print. 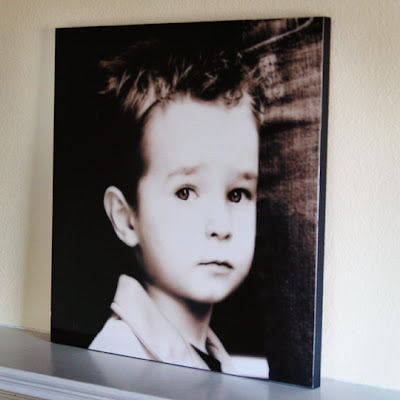 Did you use Simply Canvas for your gallery wrap? Thier frames are only 1.5" deep. If you got a 2.5" deep canvas from somewhere else please tell me!!! I must know!!! These look great!!! I can't wait for the gala! !